What’s been happening at the the US Department of Veteran Affairs is ripe for oversight by the new Democratic Party US Congress beginning on January 3, 2018. Fortunately, the Democratic Party US Senator Jon Tester of Montana who is still a ranking member of the Subcommittee on Military Construction, Veterans Affairs, and Related Agencies that has oversight duties of the VA, is well aware of the current problems that need immediate addressing, to where he will be more than cooperative. He is the same one that the republican President Donald Trump targeted for failure because he dared to block the appointment of the president’s own White House physician Ronny Jackson to become the new chief of the VA because he was totally unqualified to replace the fired/ forced to resign head David Shulkin. There are some of the president’s rich friends and donors with their paid for GOP legislators who are pushing hard for the complete privatization of the (VHA) the Veterans Health Administration against the wishes of the vast majority of veterans. There is one conservative vet group CVA Concerned Veterans for America, backed by the Koch brothers who have been encouraged to have their tentacles all over this issue. But they stand in contrast to all the other major vet organizations. 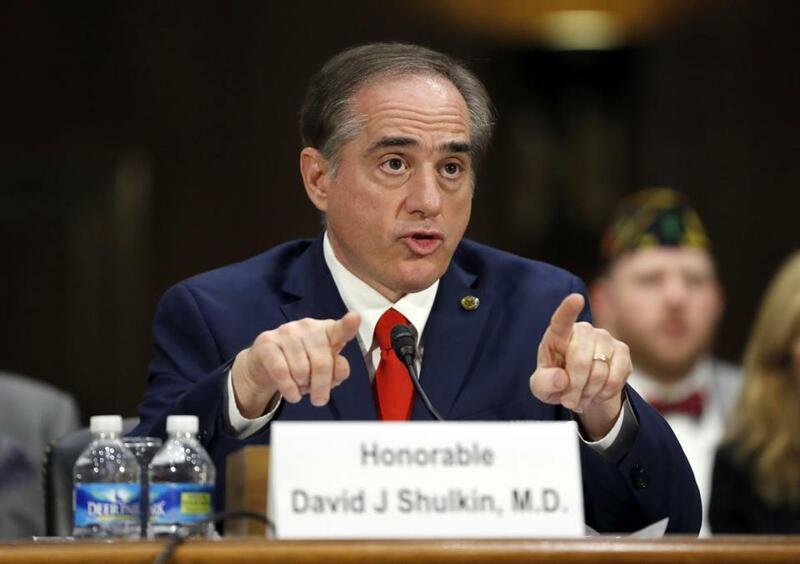 Around March 2018, Dr. David Shulkin who had not been supportive of the president’s plans to privatize the (VHA) Veterans Health Administration where it didn’t make sense and/ or it was counter to the best interests and wishes of our veterans, was forced to resign to be replaced by a presidential incompetent lackey in the form of his personal White House physician Dr Ronny Jackson, so others could then go to work on their privatization plans. But when that idea fizzled, the president and his cronies came up with another lackey, Robert Wilke from the US Defense Department. This tactic is the same blueprint that President Trump has just executed by appointing his lackey Matt Whitaker to replace the fired / forced to resign DOJ”s Attorney General Jeff Sessions. The president’s placement of unqualified loyalists as heads of cabinet posts result in incompetent execution of major projects. This is the blueprint on how to NOT make government work for the American peoples. For example, in November 2018, news outlets had been reporting that the VA did not intend to reimburse our vets who are owed monies based on the “Forever” GI Bill passed by the US Congress in 2017, due to computer glitches that have been ongoing for more than a year. 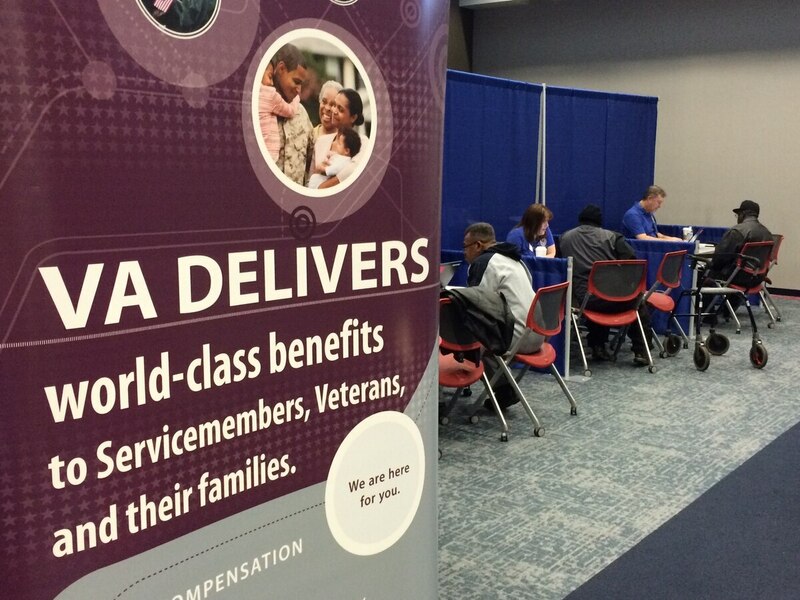 On November 30, 2018, as news reports about VA executives reneging on ‘Forever GI Bill’ payments owed our veterans became widely covered, the VA head Robert Wilke announced that the vets would be receiving any and all monies owed them. This is a VA debacle that cries for oversight. In short, when the VA went to change its IT system this summer 2018, its systems failed. While it dealt with that problem, the VA was also attempting to tackle a large amount of veterans’ education claims for the fall semester. What resulted was widespread delays in veterans receiving their monthly housing allowances, which they use for rent, food and other living expenses. But wait until you learn who has been really pulling the strings at the VHA. It is none other than President Trump 3 buddies known as the Mar-a-Lago trio. 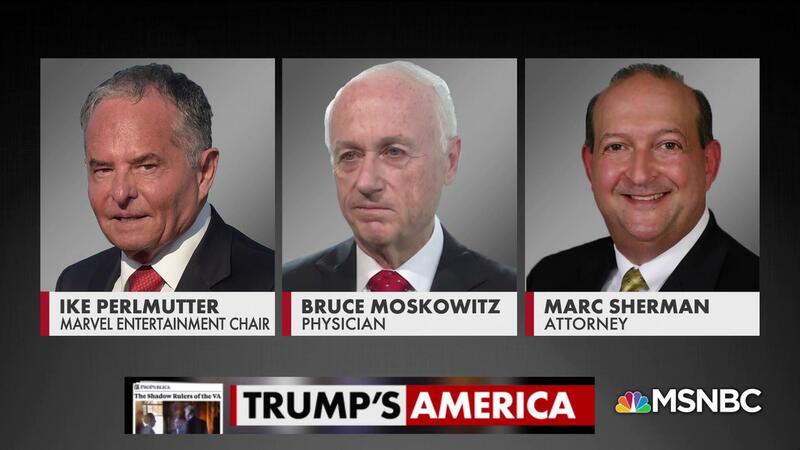 As per Probublica, the three Mar-a-Lago members are Marvel Entertainment chairman Ike Perlmutter, West Palm Beach physician Bruce Moskowitz and lawyer Marc Sherman who have been involved in “some of the agency’s most consequential matters, most notably a multibillion-dollar effort to overhaul electronic health records for millions of veterans. What could possibly go wrong? Mr. Wilkie’s protestations ring hallow as these gentlemen have been acting at the behest of President Trump. This, probably more than anything (outside of tRumpsky himself), gets to the soul of why this country is going to hell. Many of his supporters were enthused about DT because of his “business background.” They felt this “talent” was going to truly MAGA. The BIG thing they overlooked is when you’re in PRIVATE business, you can hire anyone you want to do your bidding. When you’re POTUS, you’re supposed to be doing things for the good of entire country. Of course, as we all know, tRumpsky doesn’t even know what this means. The first question I had, was what financial benefit was President Trump getting from this arrangement as he certainly didn’t give a hoot about our vets. Frankly, I don’t see how he gets away with bragging about how much he is doing for our military. These billionaires who don’t like government, don’t care if institutions like the VA are destroyed. Yes, it’s truly amazing how little regard he has for vets … yet is soooo gung-ho about increasing the military. What does he think happens to these individuals when their service is finished? He’s such a twit! 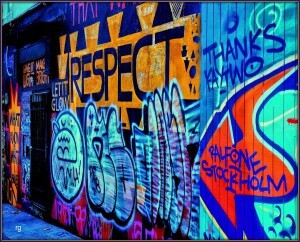 Gronda, bringing an outside perspective can be a good thing to promote change, but it does require an intimate knowledge of what the organization does. That is a key reason when the top twenty companies that were nominated and analyzed for the book “Built to Last,” more than 95% of the CEOs were promoted from within. 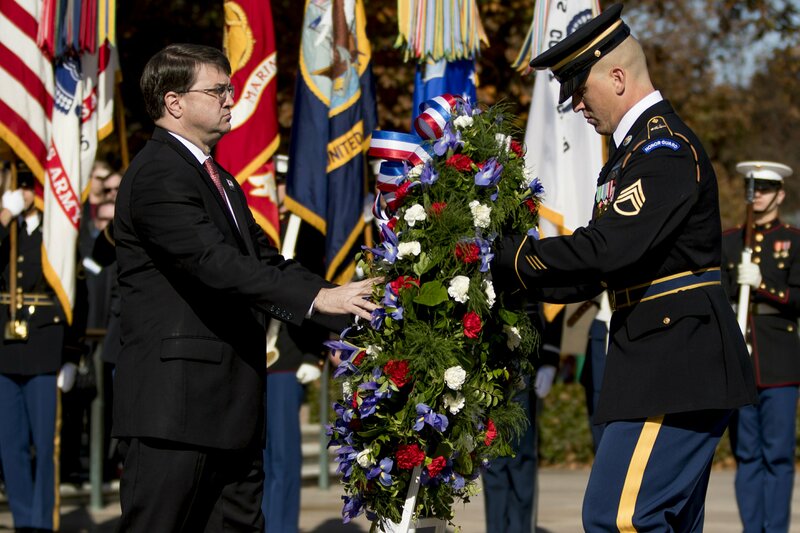 The VA is imperfect and complex, but operates better than its negative stories would define. Many of its issues are due to lack of funding, but just criticism is not evaluating clearly the problems and addressing them. I do know two months before the Phoenix issue broke, Senator McCain presented a bipartisan bill asking for $64 billion to fix it. It was defeated to the veterans dismay. After Phoenix, a $16 billion bill was passed, not near enough.